Kane was born October 07 and had an absolutely wonderful Puppy Show Career. 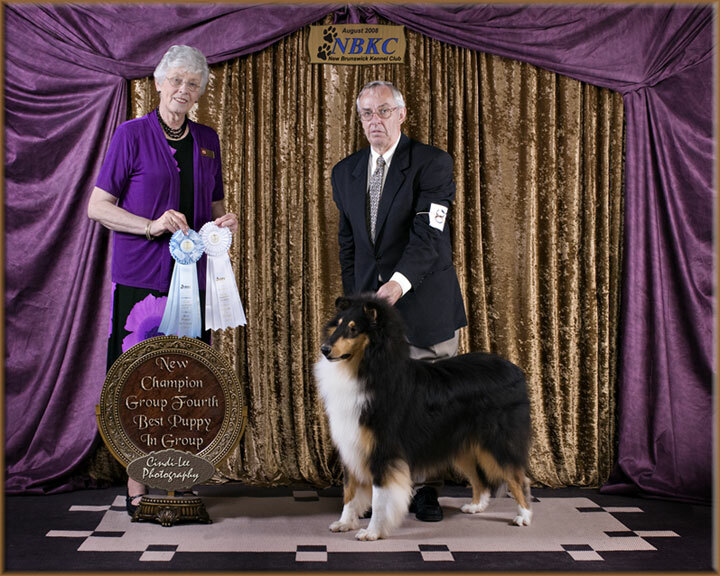 He finished at 9 months of age like his sire shown in picture above under Judge Denise Cornelssen at the NBKC hosting of the Maritime Group 7 Booster with a Group 4th and a BPIG. He picked up several Group placings and multiple BPIG earning him the number 3 position for the year in the Atlantic Puppy Group Statistics. The end of August saw a big entry as 2 all breed shows were held and on one day two shows were held one being the Maritime Group 7 Specialty with Collie Breeder Judge Joan Bulger and the other HKC hosting of CCC booster with Judge Michelle Billings and Kane took BOB all shows that weekend over a healthy entry of Collies from around the area and beyond, so we were very proud of his achievements and his ringside fans humbled us indeed. This Youngster LOVES the Show Scene and excels in movment and showmanship so we will now wait for him to mature and start his Show Career in the USA. 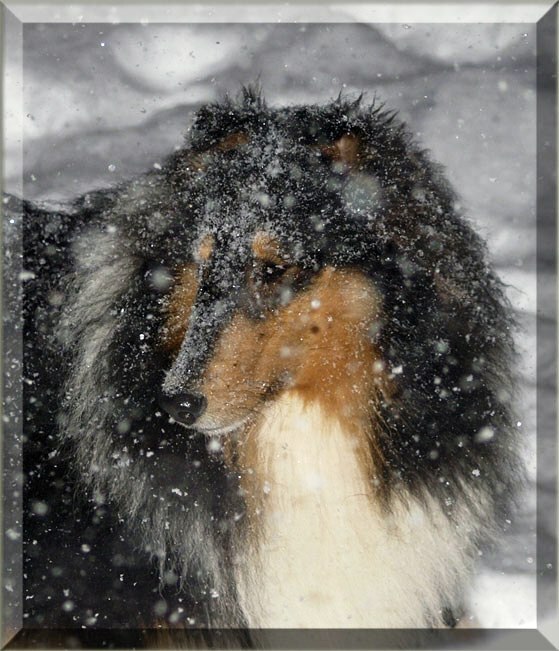 The Snow Storm picture was taken Feb 2011 at the height of the Storm so he is 3 years old.